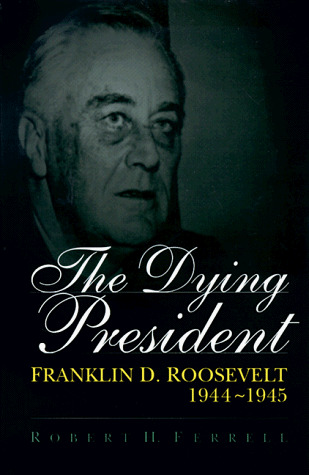 In this authoritative account, Robert H. Ferrell shows how the treatment of President Franklin D. Roosevelt's illness in 1944-1945 was managed by none other than the president himself. Although this powerful American president knew that he suffered from cardiovascular disease, he went to great lengths to hide that fact - both from his physician and from the public. The president's duplicity, though not easily measurable, had a critical effect on his performance. Important decisions were delayed or poorly made. America's policy toward Germany was temporarily abandoned in favor of the so-called Morgenthau Plan, which proposed the "pastoralization" of Germany, turning the industrial heart of Europe into farmland. Roosevelt nearly ruined the choice of Senator Harry S. Truman as his running mate in 1944 by wavering in the days prior to the party's national convention. He negotiated an agreement with Winston Churchill on sharing postwar development of nuclear weapons but failed to let the State Department know. In his final year, a year in which he faced crucial responsibility regarding World War II and American foreign policy, Franklin D. Roosevelt failed to serve the nation as a healthy president would have. Harry S. Truman of Missouri was FDR's surprising choice for vice-president in 1944 and became president upon Roosevelt's death in 1945. Grandson of a Duke of Marlborough and son of an American mother, Winston Churchill led Britain through near defeat and eventual victory in World War II.